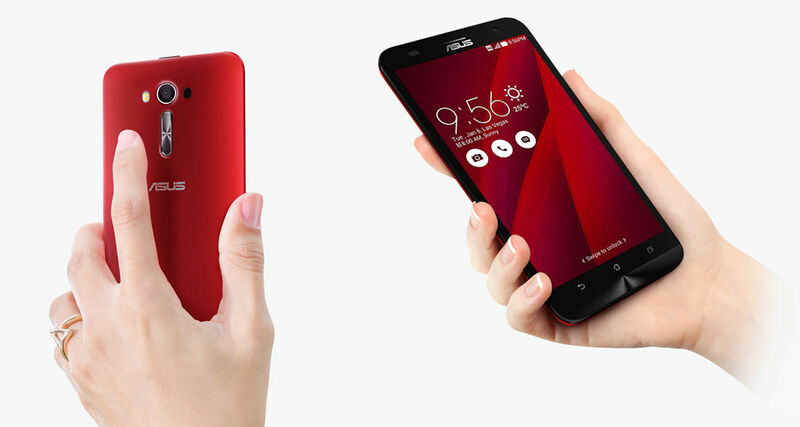 Asus ZenFone 2 Laser (ZE550KL) is comfortable to handle in your palm. It is crafted with ultra-thin edges of 3.9 mm. Also, there is the iconic ASUS concentric-circle design that embellishes both the front and the rear key. This phone is designed so beautifully that every task will seem natural to the user, whether it is snapping selfies, adjusting the volume and retracing your steps, no matter whether you are right handed or left handed. This phone is damage resistant with ZenFone 2 Laser’s (ZE550KL) Gorilla Glass 4 display. Hence, this phone is stronger and sturdy. The user will be able to enjoy impeccable multimedia performance as it is equipped with the processor – Qualcomm Snapdragon 410. So, everything will be fun, especially completing your daily tasks and activities. This phone also features LTE Category 4 for download speeds up to 150 Mbit/s. Asus ZenFone 2 Laser (ZE550KL) supports the operating system- Android 5.0 (Lollipop) that takes your smartphone experience to completely another level. Listening to music will be a real treat for the audiophiles with this phone. Also, watching videos will be fun as it supports various features like one touch still capture facility and video stabilization. With Full HD video recording, capturing videos with this mobile is also an experience which will create beautiful memories. With this phone, the user will be able to take absolutely stunning and high resolution images as it is equipped with 13 MP PixelMaster camera with its f/2.0 aperture lens. There is a feature of brand new laser autofocus that reduces blur and enhance the image stabilization. Also, capturing incredible pictures at night or in low light scenes, that too without a flash is possible as the phone is equipped with the low light mode technology that employs pixel merging technology to give up to 400% brighter photos. Sharing music, photos and other form of data is easy with this phone as it supports connectivity options like USB, WLAN 802.11 b/g/n, Bluetooth V4.0, GPS and other such options. The memory is of 3GB LPDDR3 RAM, the storage capacity is of 16GB eMMC Flash, memory slot - MicroSD card (up to 128 GB). The battery capacity is of 3000 mAh Li-Polymer which gives you good time to perform every activity without any kind of disturbance in between. The brand 'ASUS' embodies the inspiration of art and learning and its products are too designed with the same philosophy. Asus ZenFone 2 Laser (ZE550KL) is one such product of Asus which you will love to flaunt wherever you go, it fits easily in one's palm and it is actually a master piece designed with care and precision, that promises to give unprecedented performance and a seamless and intuitive UI. 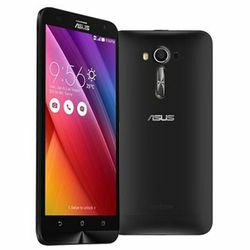 Scroll down to learn more about its exciting features......Design and Display Asus ZenFone 2 Laser (ZE550KL) is comfortable to handle in your palm. It is crafted with ultra-thin edges of 3.9 mm. Also, there is the iconic ASUS concentric-circle design that embellishes both the front and the rear key. This phone is designed so beautifully that every task will seem natural to the user, whether it is snapping selfies, adjusting the volume and retracing your steps, no matter whether you are right handed or left handed. This phone is damage resistant with ZenFone 2 Laser’s (ZE550KL) Gorilla Glass 4 display. Hence, this phone is stronger and sturdy.Processor and OS The user will be able to enjoy impeccable multimedia performance as it is equipped with the processor – Qualcomm Snapdragon 410. So, everything will be fun, especially completing your daily tasks and activities. This phone also features LTE Category 4 for download speeds up to 150 Mbit/s. Asus ZenFone 2 Laser (ZE550KL) supports the operating system- Android 5.0 (Lollipop) that takes your smartphone experience to completely another level.Multimedia Listening to music will be a real treat for the audiophiles with this phone. Also, watching videos will be fun as it supports various features like one touch still capture facility and video stabilization. With Full HD video recording, capturing videos with this mobile is also an experience which will create beautiful memories.Camera With this phone, the user will be able to take absolutely stunning and high resolution images as it is equipped with 13 MP PixelMaster camera with its f/2.0 aperture lens. 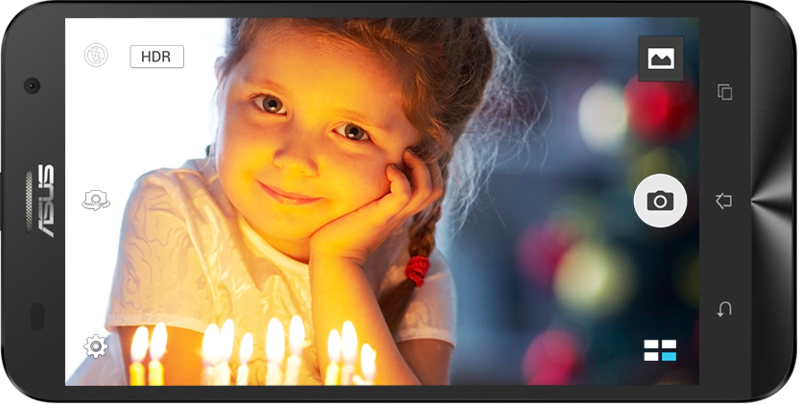 There is a feature of brand new laser autofocus that reduces blur and enhance the image stabilization. Also, capturing incredible pictures at night or in low light scenes, that too without a flash is possible as the phone is equipped with the low light mode technology that employs pixel merging technology to give up to 400% brighter photos.Connectivity Sharing music, photos and other form of data is easy with this phone as it supports connectivity options like USB, WLAN 802.11 b/g/n, Bluetooth V4.0, GPS and other such options.Memory and Battery The memory is of 3GB LPDDR3 RAM, the storage capacity is of 16GB eMMC Flash, memory slot - MicroSD card (up to 128 GB). The battery capacity is of 3000 mAh Li-Polymer which gives you good time to perform every activity without any kind of disturbance in between.